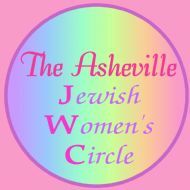 Designed for the contemporary Jewish woman, the Asheville Jewish Women's Circle is an ever-growing group of women who come together to socialize, learn, and discover the power of Jewish femininity in today's world. Open to the entire community, the JWC offers innovative workshops, discussions, and creative activities, exploring current issues and relevant topics that lie at the hearts of us all. It is always a special ladies night out, rejuvenating body and soul! "It is so nice to be able to get together with other Jewish women, enjoy their company, have a great time during the program and take home tools that I can use as a Jewish wife and mother, as well." "I grew up in a small town that only had two Jewish families. When I look around the room at the Women's Circle, I see a room full of Jewish women, and I feel like I belong. 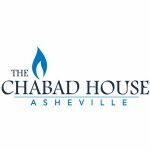 It is always so warm and welcoming, and I always learn something new about my Jewish heritage." Register today for the current JWC program!